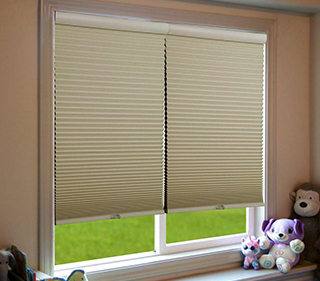 Honeycomb blinds are designed in an iconic honeycomb alike structure that are energy efficient which keeps the place warm and prevent cool air from escaping to the place comfortable for you. It is perfect for skylights and unique window shapes. Honeycomb shades is where the light meet the colour, that filters the light and gives an extraordinary look which gives complete privacy and protection from UV rays and reduces the room noise by 40%. It comes in all varieties of fabric like blackout, translucent, flame retardant and other different patterns. 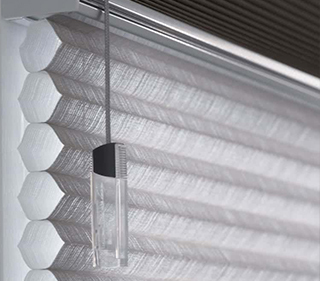 Honeycomb blinds or cellular blinds are easy to install and offers wide range of colours.